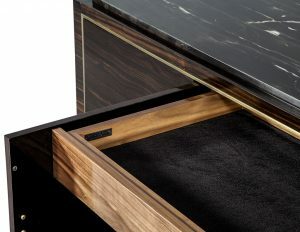 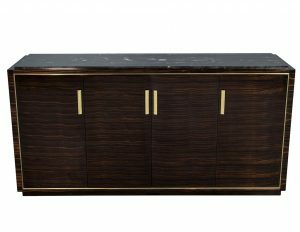 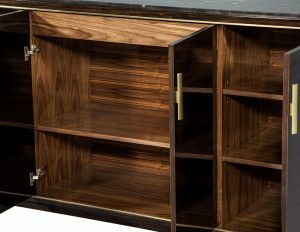 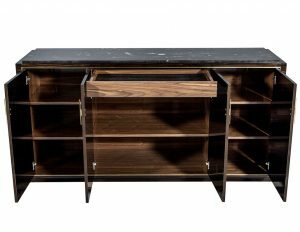 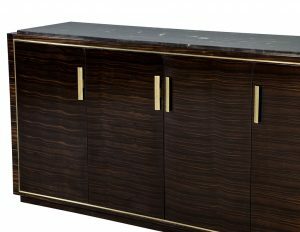 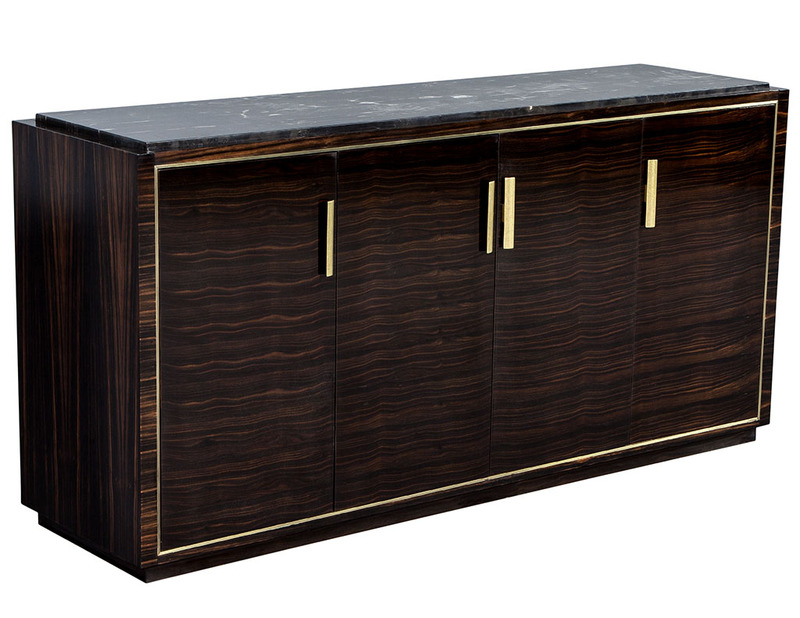 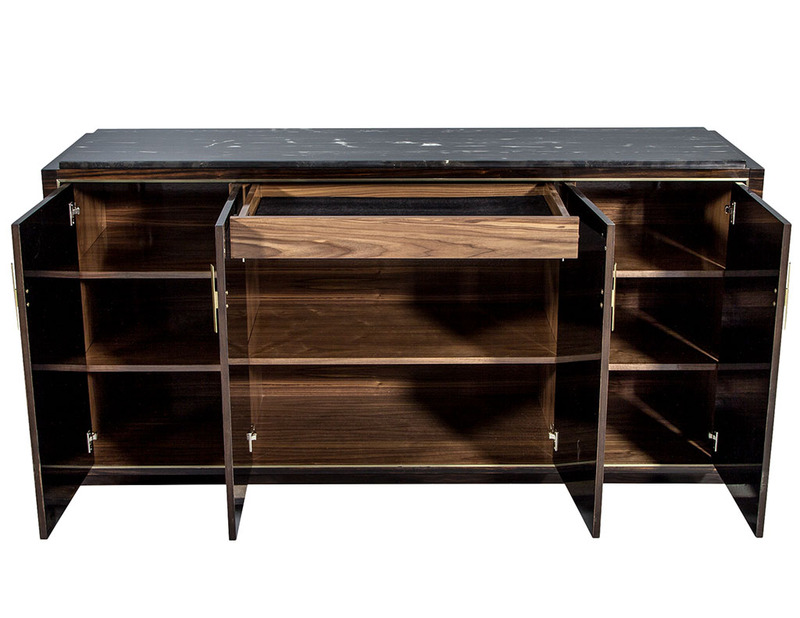 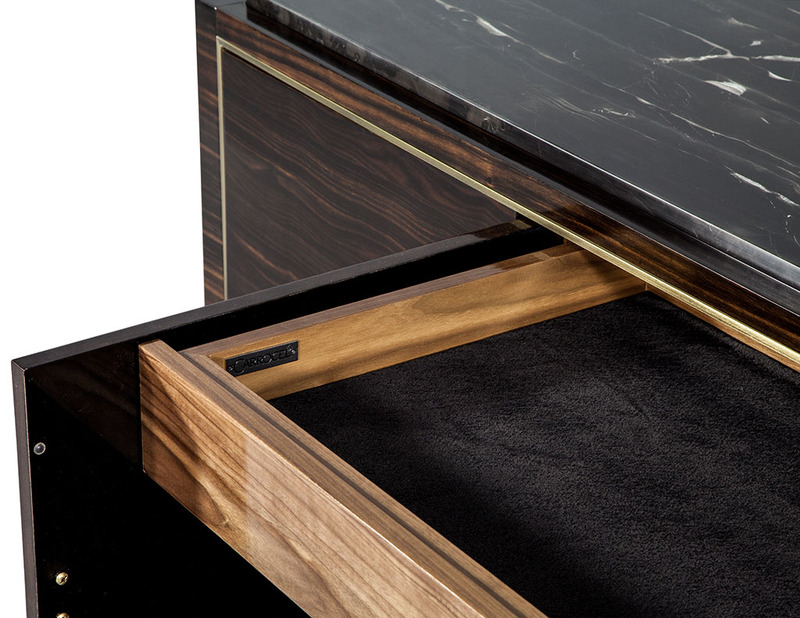 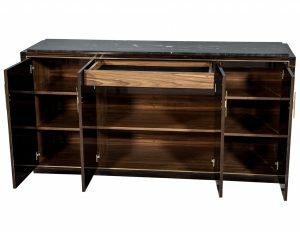 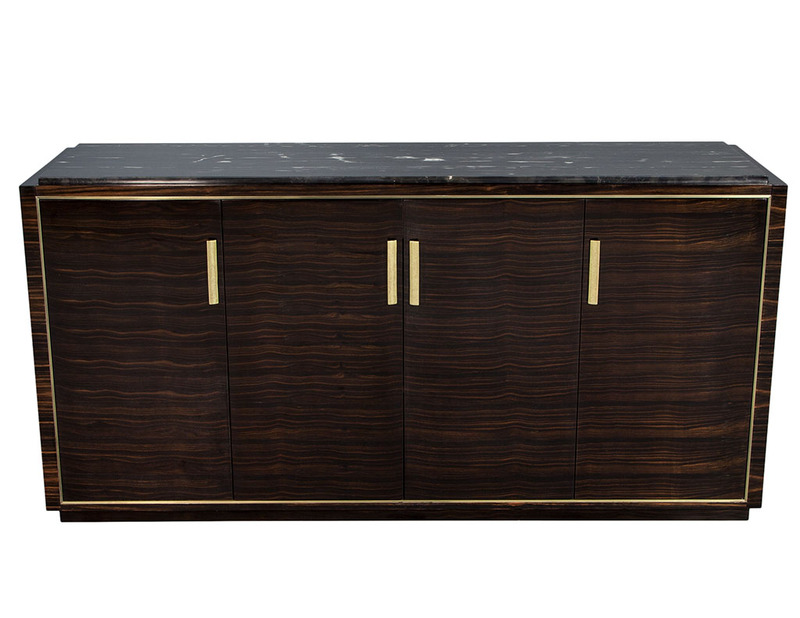 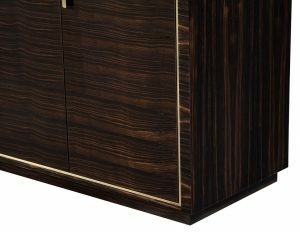 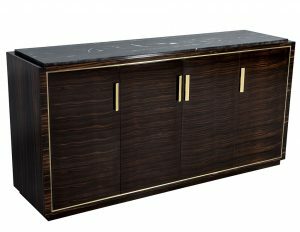 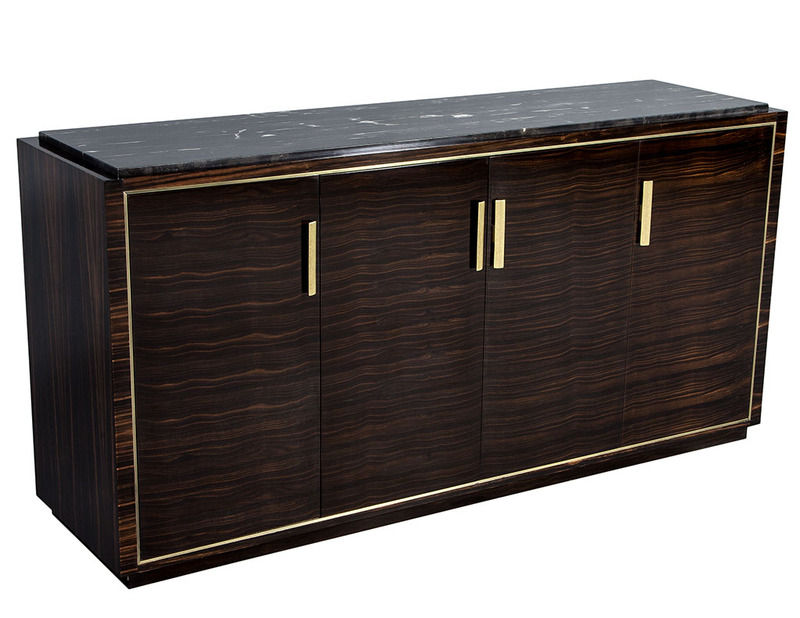 Custom made by Carrocel, this sideboard is made of exotic Macassar Ebony wood. 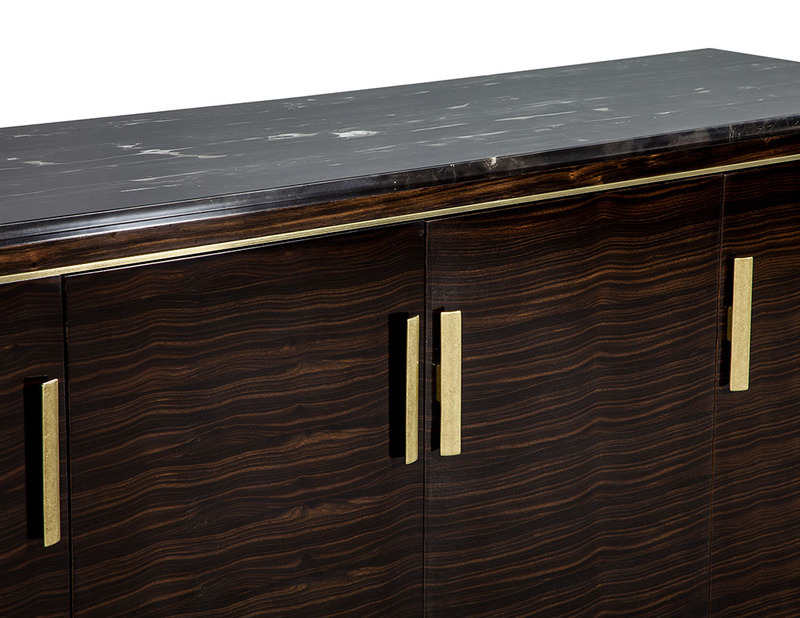 It is hand polished to a rich deep, gloss patina. 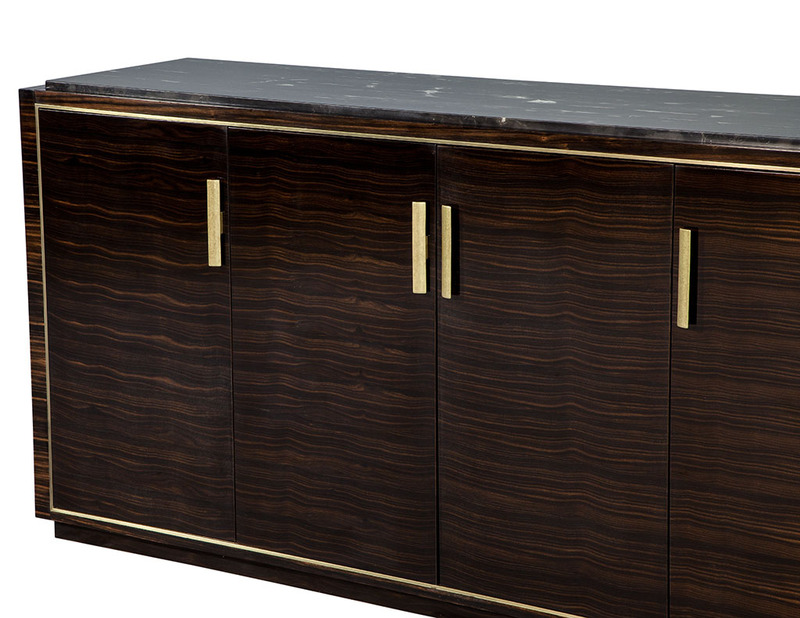 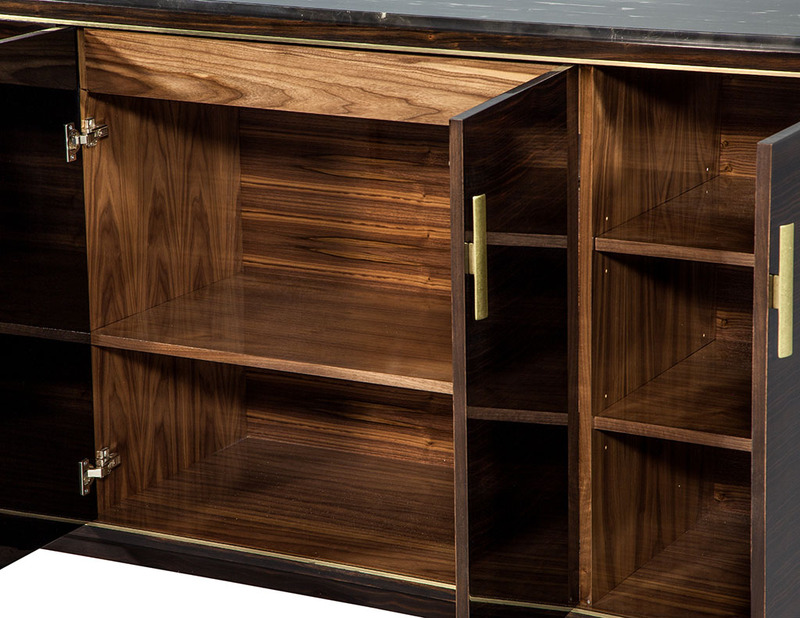 Featuring inset brass trim and hardware to further accentuate the clean lines of this piece. 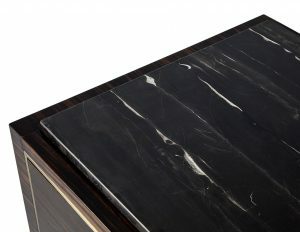 And to top it off a luxurious Italian silver Potoro stone. 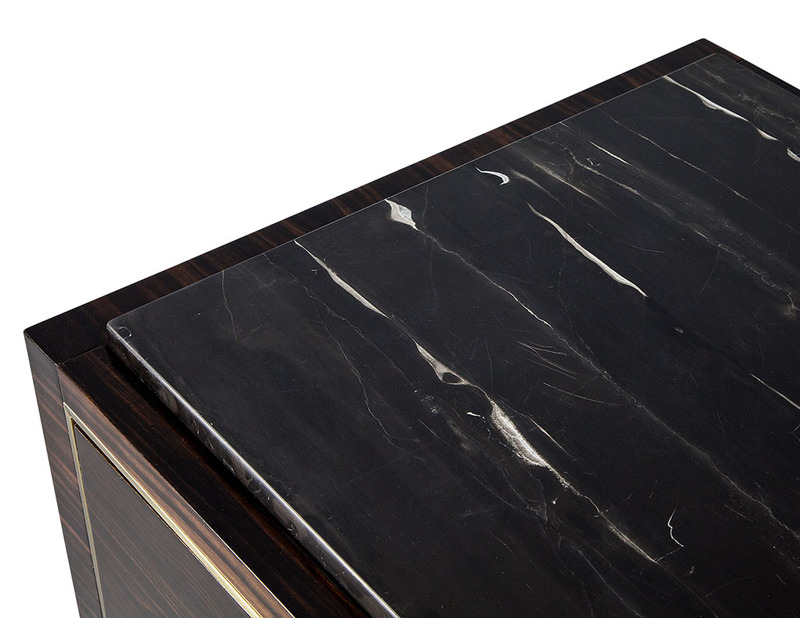 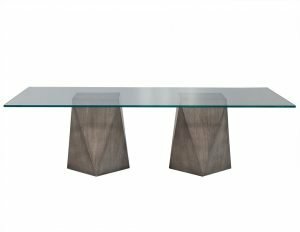 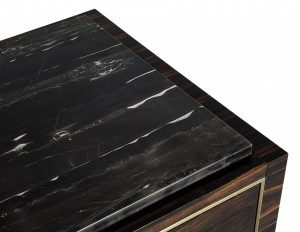 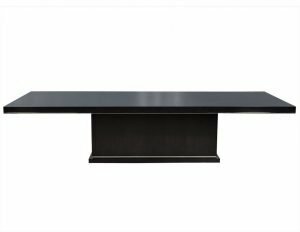 The perfect piece for a luxe and chic interior.